SLD steel containers are characterized by extreme durability and are suitable for areas with a vandalism occurrence. Their rectangular design enables an optimal use of the collection point space. The walls are made from galvanized plate and the supporting frame is hot-dip galvanized. 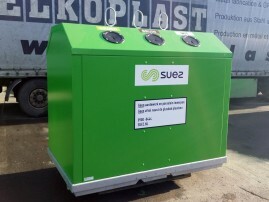 The entire container is coated with a high-quality two-component RAL colour. The inlets on the opposite sides (glass/paper type) are protected with rubber rosette openings. The bottom and the walls of the glass container are silenced on request. 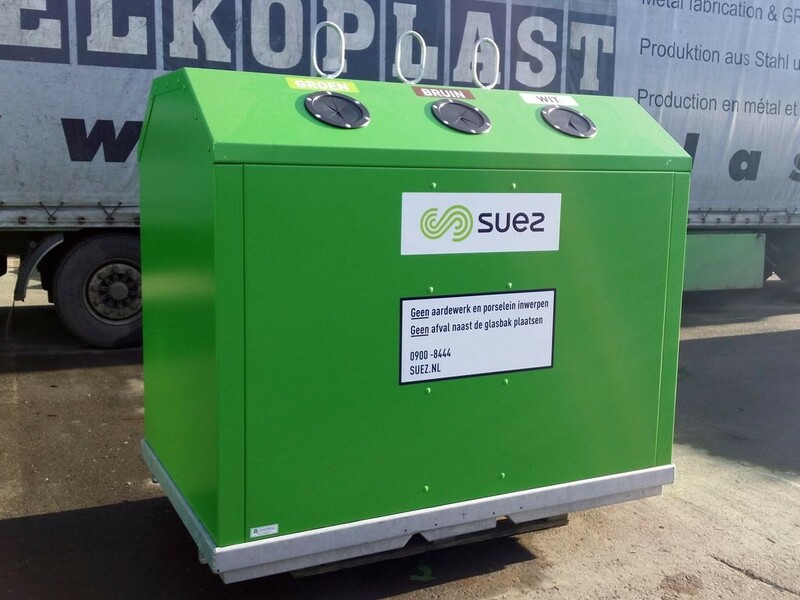 Our solution for the paper and plastic version (generally large waste) provides trouble-free unloading, which consists of consistent conducting of the unloading mechanism along the interior walls (when compared with the mechanism conducted through the centre of the container). continuous weldings, hot-dip galvanized metal sheets. with 2 or 3 rods, pedal or Kinshofer type.